SEO services for your restaurant with MyCity Social! 10 Benefits of Working With a Large Marketing Agency in Fort Lauderdale!Is Machine Learning Taking Over Online Marketing Strategies? 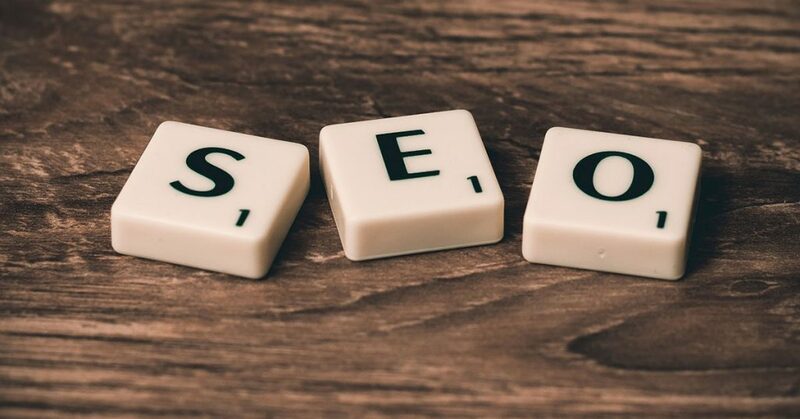 In today’s competitive market, everybody needs SEO advice in order to stay at the top of search engine rankings and stand out from the competition. From clothing stores to law firms to restaurants, SEO services are an essential part of today’s marketing. General SEO strategy is applicable for pretty much all businesses looking for digital marketing, but there are more detailed strategic moves that you can make when it comes to SEO services in order to create the best SEO content and optimize your digital marketing for your restaurant. While general SEO articles can provide you with a lot of guidelines and things to keep in mind no matter what sector you’re in, it’s impossible for general SEO advice go hit all the nuances of a particular industry, as every niche has their own set of SEO challenges and specific opportunities that apply to their own industry. Fort Lauderdale is populated with many fantastic restaurants, from quaint Italian bistros to fabulous Japanese joints. As a restaurant owner, there are certain things you should keep in mind when it comes to your SEO specific skills. Read on to learn more about what you as a restaurant owner can do to your SEO content in order to expand your brand and bring more customers to the door. While many of these tips can definitely be tweaked in order to apply in other sectors than the restaurant industry, these are written specifically for those of you who own or work with restaurants in order for you to be able to do the most with your SEO content and marketing. MyCity Social is a top SEO agency Fort Lauderdale business owners love. Call us today for a consultation about how you can expand your digital marketing! The majority of businesses today are at least somewhat familiar with SEO, and you probably as a restaurant owner already have a Google My Business Page. And if not, you should definitely start there and build one, or enlist the help of an SEO agency in order to optimize the amount of customers that you’re bringing to your door. However, now that that’s out of the way, there is a whole host of new and not-so-obvious features that are accessible under the hood of your Google My Business listing, with many of these features being exclusive to restaurant businesses! One of the best new additions to the restaurant SEO arsenal happens to be Google Posts, which is a service now being rolled out to all businesses. You can access Google Posts through your Google My Business listing editor page, which then gives you the opportunity to add a post of maximum 300 words that includes a picture and a link to: Learn more, Reserve, Sign Up, Buy, or Get an Offer. On Google Posts, you are also able to create events with start and end times. People who look up your business, they’ll be able to see your posts in the knowledge graph on the desktop. The most important portion of this feature for restaurants in particular, however, is that on the mobile version they’ll be able to see something more visually pleasing and arranged almost in an app manner. Thus, with posts, restaurants have the ability to not only advertise specials and events, but also claim a lot more real estate on Google for pretty much no monetary investment.This means that you get more bang for your buck, an essential component in advertising. Another update on Google My Business has recently rolled out that allows businesses to add additional links to deeper pages on their site, a capability that benefits restaurants the most. While the capability is able to be accessed by all types of businesses, restaurants get the most benefits out of this capability, as their services correspond with this feature. When your average SEO consultant is only able to add a link to an appointment scheduling page, restaurants are able to add additional links to their menu, to their order-ahead URL, and also to their reservations URL. This then results in extra real estate in your mobile site. These links not only lend you additional real estate on your site (and on mobile), they also assist users in getting to the part of your site they’re the most interested in, which can help save your restaurant staff time on the phone as it promotes the reservation page on your website. You’re even allowed to link to a page under this Google My Business update that isn’t on your own domain if you use an outside vendor to provide some transactional functionality. In no other business are citations as important for SEO than for restaurants, although they are somewhat important for the majority of other SEO as well. Citations are especially important for SEO in restaurants due to the fact that for restaurants, citations are not only a local SEO signal but also a solid traffic source. Sites that are particularly strong in queries for restaurants such as FourSquare and Yelp drive significant views, direct calls, and traffic. This is the reason that MyCity Social, a top SEO agency Fort Lauderdale businesses rely on, highly recommends that you absolutely need to personally claim and control your FourSquare and Yelp listings in order to ensure that they contain up-to-date information, are complete with favorite images approved by your restaurant, and that the reviews posted by reviewers are responded to by your staff in a timely manner in order to prevent upsets. It’s often more cost-and-time-effective to hire a citation firm to handle the rest of these problems, beyond these big issues that need to be immediately dealt with. While it’s impossible to take into account every single feature of every company, it’s crucial to be informed regarding which citation firms are doing what, compare costs, and make sure to make a proactive and informed decision when picking the right citation firm for you. Since what seems like a whole generation ago in SEO time, in 2014, Google has had menu data incorporated directly into their search results. This highly benefits restaurants but somehow seems to be largely overlooked. Yet, it remains a highly valuable area of the results that is important for restaurants to incorporate. Basically, this feature makes it so that everything you might want to know about a location’s menu is accessible directly in the search results. You may be asking yourself- why would you want the visitor to come to your site instead, or you may point out that the menu in the search results doesn’t include images. Both of these points are valid and quite worthy of discussion. However, you should note that the purpose of showing up in search results for a restaurant specifically is not necessarily to get traffic to your site, but rather to drive business through your door. If this helps you get extra real estate in the results, it’s an added bonus that is inherently good for your business. Of course, the best case scenario is that images were included as well in your google search results, but overall the pros top the cons. If a potential customer wishes to take a peek at what your food looks like, they’ll visit your site using the quick link that you set up above. At this present time, this data is unfortunately being pulled from third-party sites, which is not great for your SEO. This means that you need to continuously keep your menus updated with these third parties, as Google will display outdated information if you fail to do so or if they take a while to update their cache. What you should remember here is that it is a necessity for you to keep your listings consistent. It’s imperative that your menus which appear on sites like Yelp or AllMenus are all updated as quickly as the menu on your site and in your location. This is why you need to submit those URLs to Google as soon as they’re updated. A quick and easy way for your URLs to get cached in just seconds is to simply Google “add url to google,” and you’ll be given a submission field in the results. It’s important to remember that Google dislikes having incorrect data as well, which is where Schema comes into play. Schema is essentially code that is delivered with your web page (though it is not visible to humans if you use the preferred JSON-LD that sends to Google (and other crawlers, of course) details about your page and its contents. You are able to place this code anywhere on the page, but it is typically place in the <head>. In an exciting move for restaurant owners, the Schema standards for restaurants last April were changed to add the ‘hasMenu’ property to replace the previous ‘menu.’ Previously, only a URL was allowed to the restaurant’s menu, which provides very little information to Google about the specifics of the menu in question. But the addition of ‘hasMenu’ has changed all of that. Through the usage of this feature, you are able to inform Google all about the location and nature of your business, as a type of restaurant at a specific address, as well as other key sorts of information such as your hours of operation. There are of course other properties that can be added, if you wish to do so, as the more thorough you are in this aspect, the better. You’ll be able to find these on the Schema site online. If you do have an online menu (and as a restaurant owner in the 21st century this is fairly common and definitely recommended), you would then go ahead and add Schema to the menu page in order to offer absolute clarity as to where your menu is, how items are divided, and also about the items that are on the menu themselves. For the properties of the offers (which defines the pricing information) there are a variety of options that you can select, such as the diets they work for, nutritional information, times specific items are offered, and more. While what menu properties you want to offer as a restaurant owner will vary, just having this feature will set you ahead of most other restaurant owners. You are able to view a full list of hasMenu properties on the Schema site. These SEO restaurant tips that we offer are able to assist you in ranking better as well as get you more exposure in the places where you do rank, but they are obviously not a panacea for all of your SEO woes. It’s obviously always necessary to have traditional on-site optimization as well as links, but what we’re offering above are ways to implement SEO tools in a way that is specifically tailored so that you as a restaurant owner is able to get the most out of SEO. MyCity Social offers premium SEO services for your restaurant as an SEO agency Fort Lauderdale business owners trust. Call us today to expand your business!